Scores of African Cabinet ministers, as well as some heads of state, will be in Cape Town next week for the 25th Investing in African Mining Indaba. The indaba, which runs from February 4 - 7 at the Cape Town International Convention Centre, is considered the largest annual mining investment event in Africa. 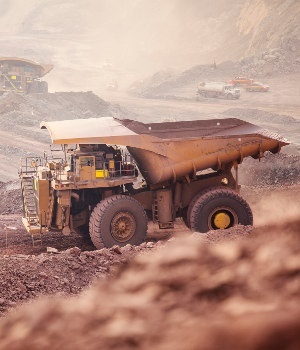 It brings together investors, mining groups, government officials and labour to discuss the latest developments in the sector and clinch deals. In addition to Cyril Ramaphosa, the South African government’s delegation to the Indaba includes Minister in the Presidency for Performance Monitoring and Evaluation Nkosazana Dlamini-Zuma, Minister of Energy Jeff Radebe, Minister of Trade and Industry Rob Davies and Minister of Mineral Resources Gwede Mantashe. Mining ministers from Ethiopia (Samuel Urkato), Malawi (Aggrey Masi), Namibia (Tom Alweendo), Lesotho (Keketso Sello) and Angola (Diamantino Pedro Azevedo) will also be present, among others. Burkinabe Minister of Mines and Quarries Oumaru Idani will represent the west African country, while Kenyan Deputy Minister of Petroleum and Mining John Mosonik will lead the Kenya delegation to the Indaba. Zambian ambassador and African Union Commissionaire for Trade and Industry Albert Muchanga will be in attendance. The will be joined by numerous leaders of mining companies, economists and labour representatives.